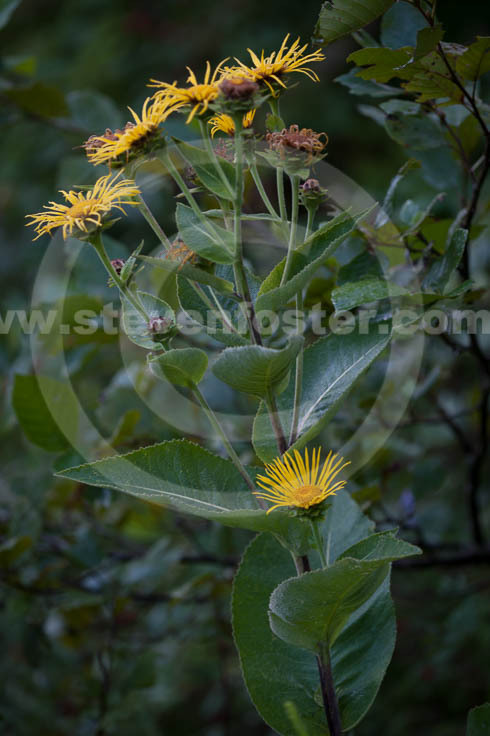 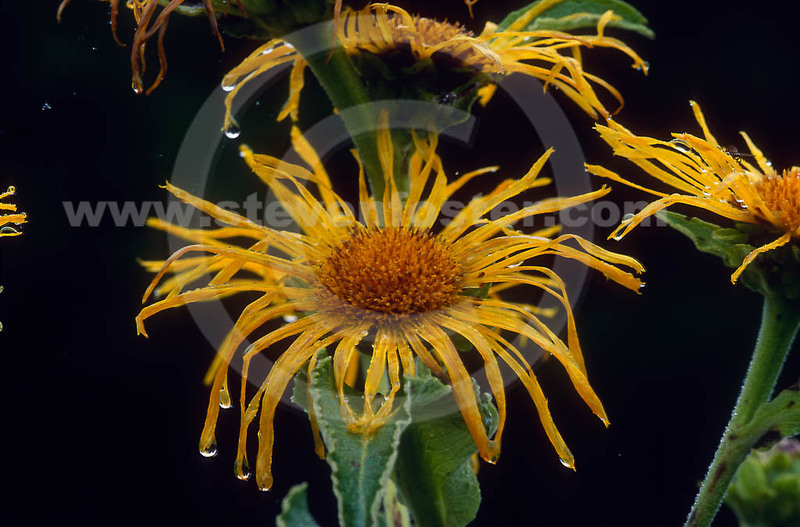 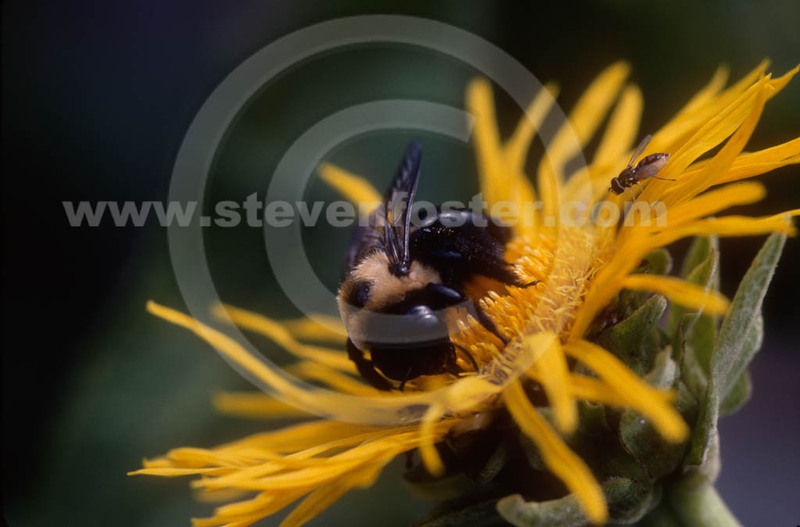 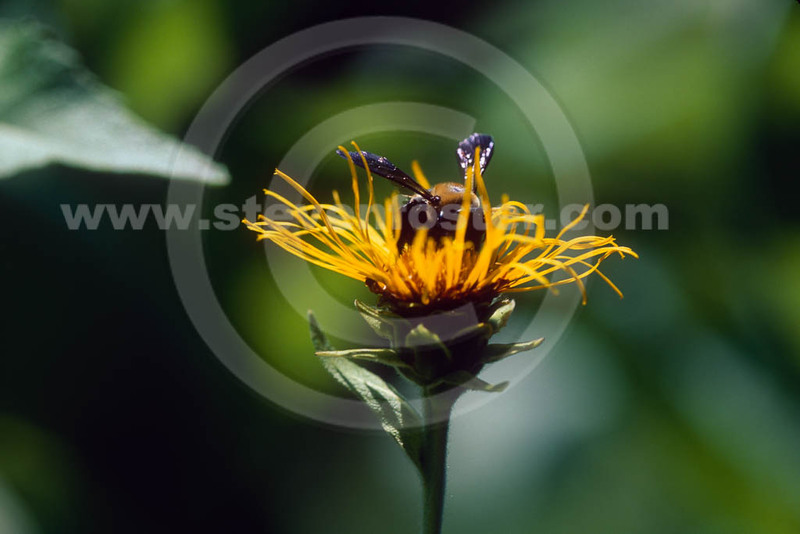 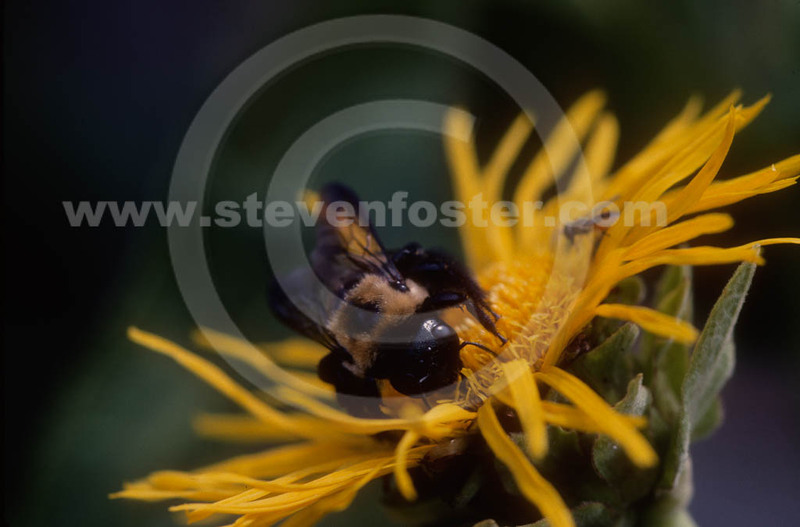 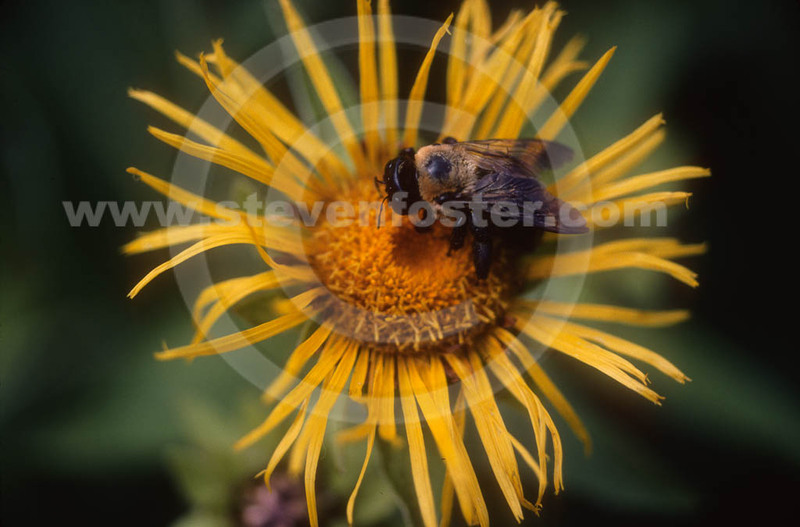 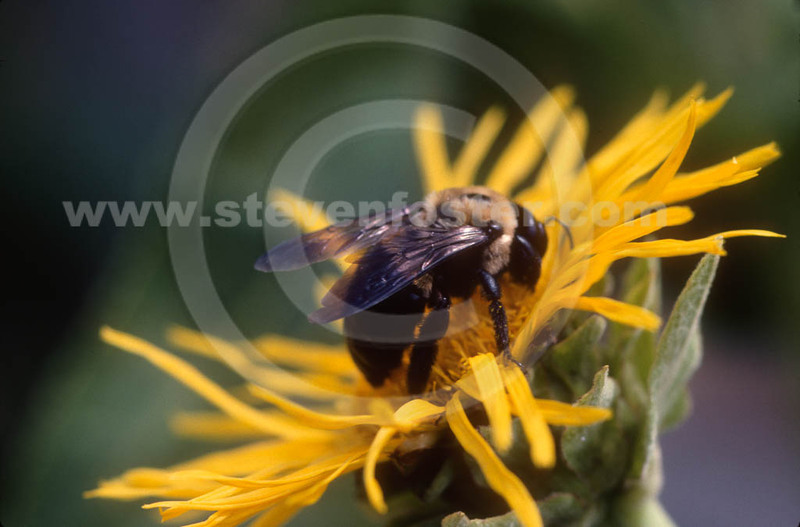 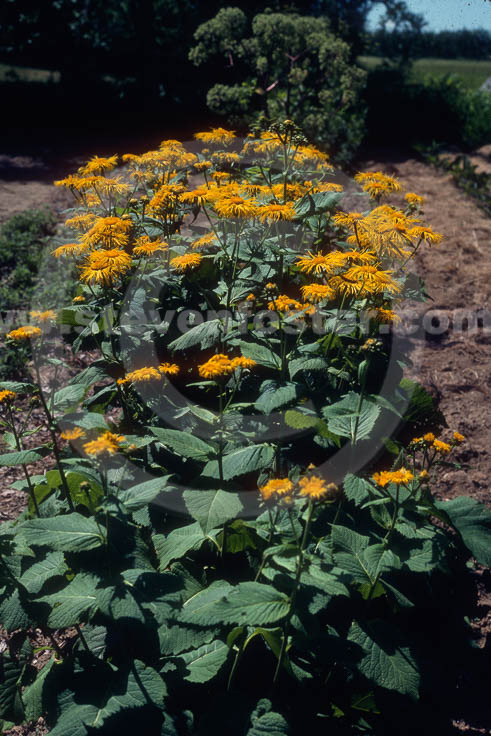 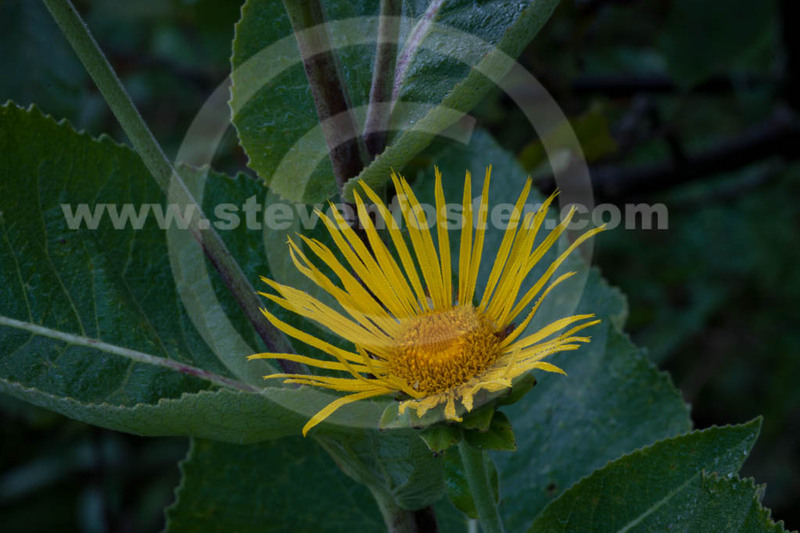 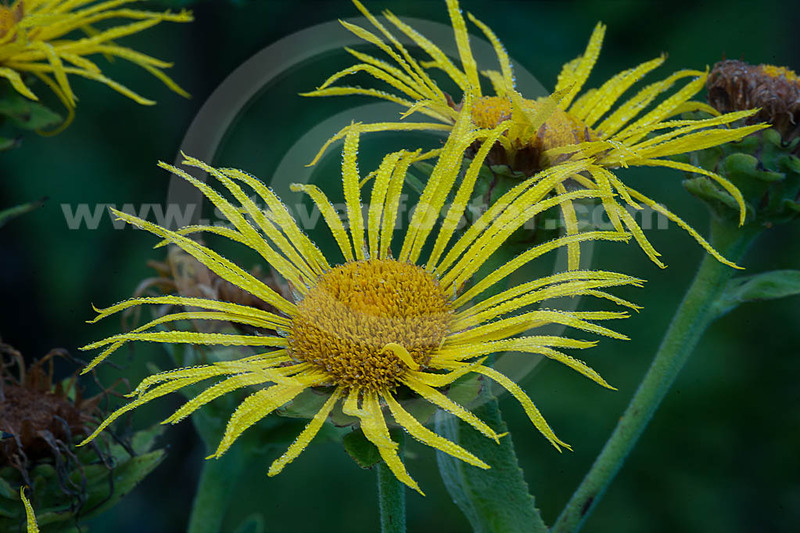 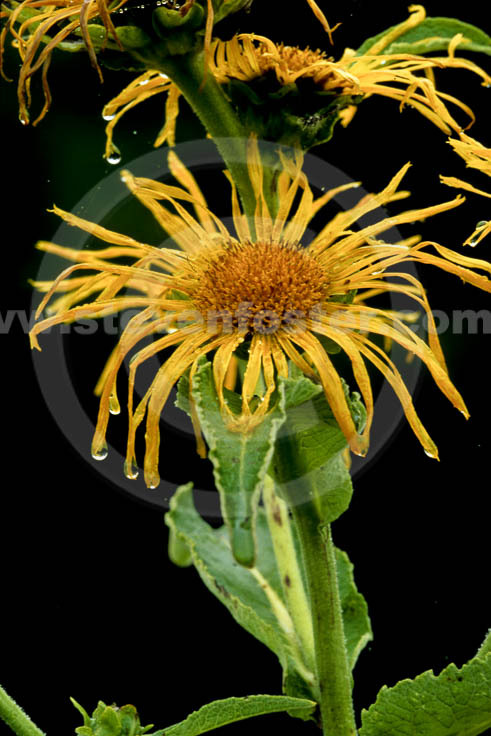 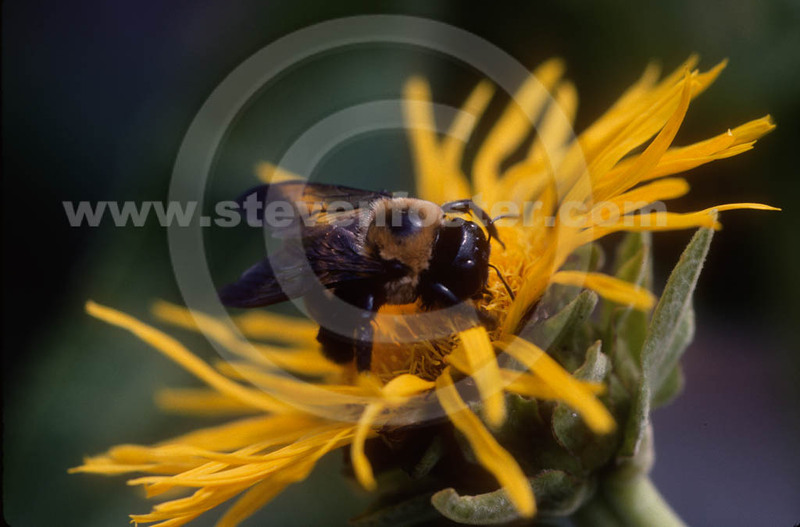 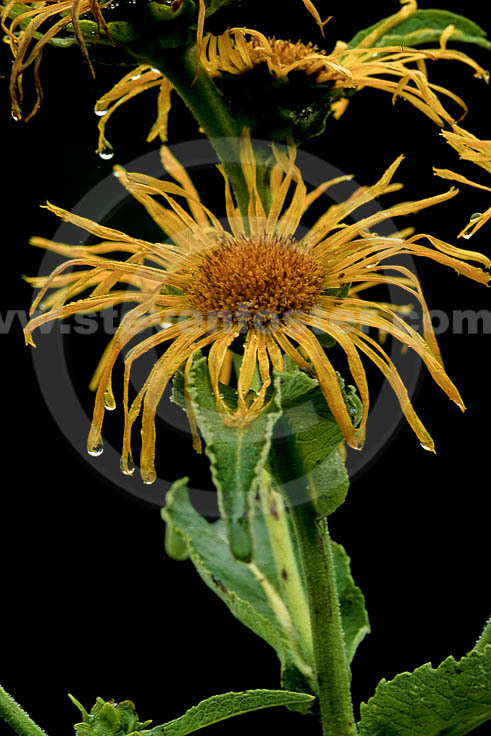 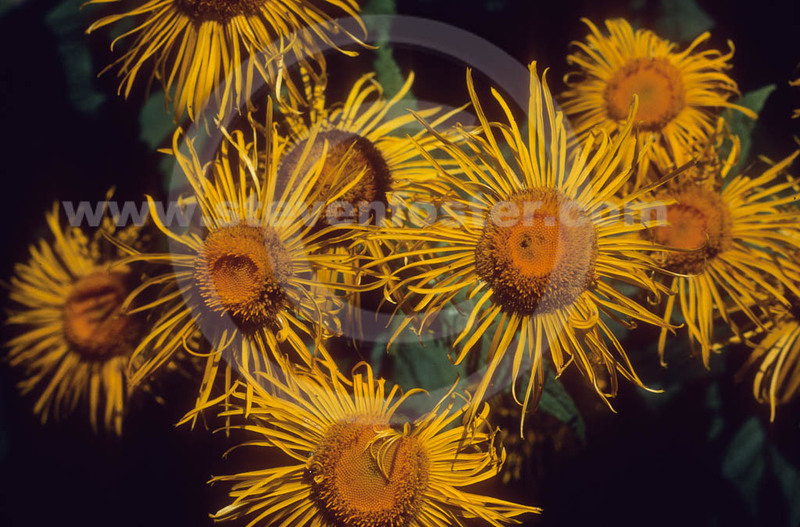 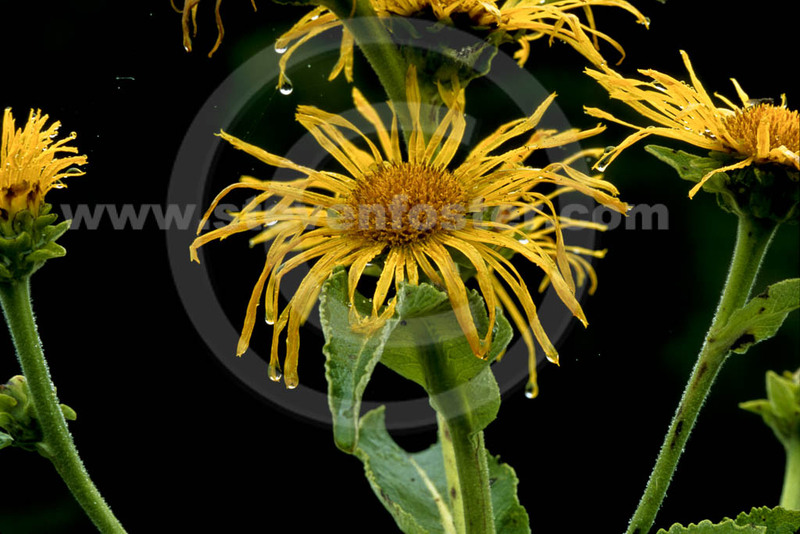 Photos of Inula helenium, Elecampane. Inula helenium, Elecampane has a rich tradition of medicinal use, especially as a home remedy for lung ailments such as pneumonia, whooping cough, asthma, bronchitis, and vesical catarrh. The efficacy of the plant for bronchial related conditions has not been experimentally substantiated. 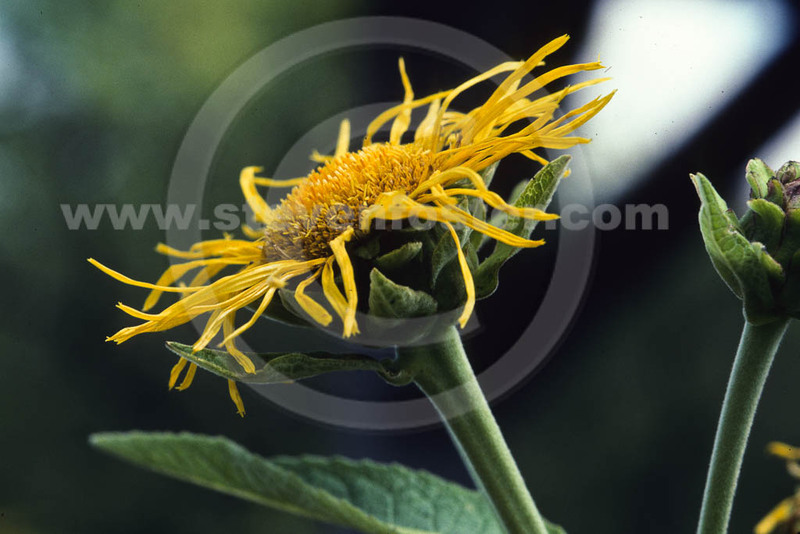 It is considered stimulating, diaphoretic, diuretic, expectorant, tonic, bechic, cholagogic, and mildly anthelminthic. 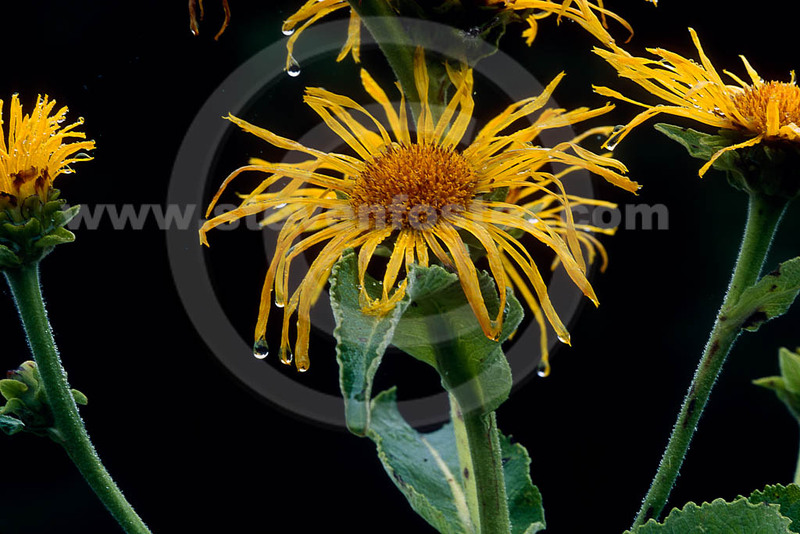 Elecampane has been used for skin afflictions, upset stomach, diarrhea, intestinal parasites, and, in Chinese medicine, to treat certain cancers. 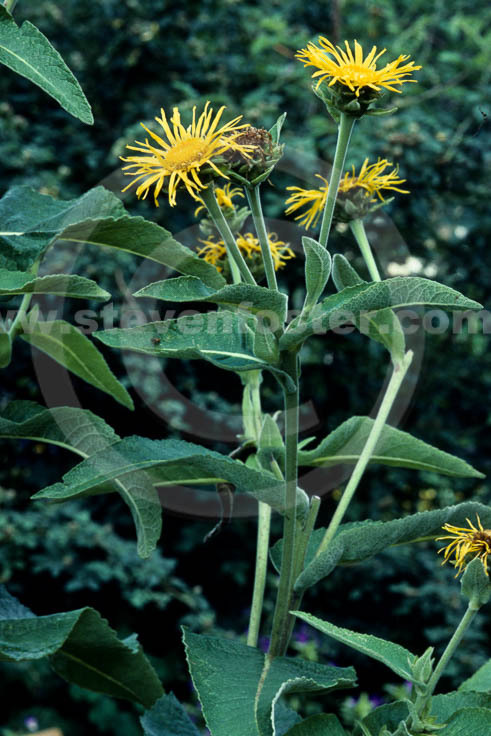 Topically, elecampane has been applied to facial neuralgia and sciatica. 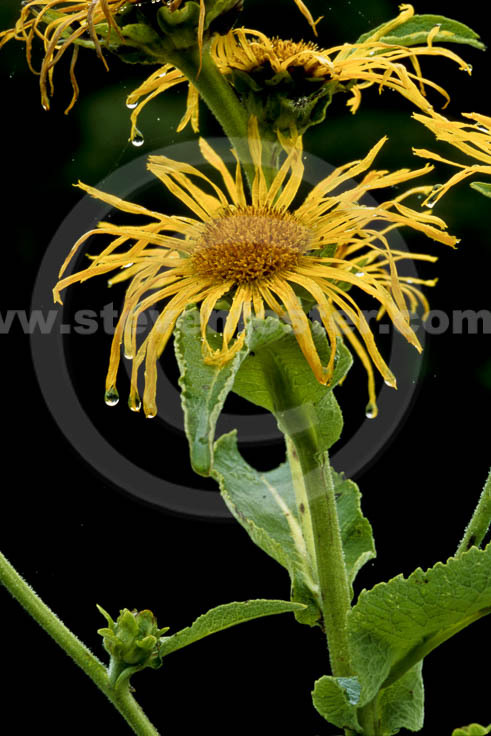 Contains toxic sesquiterpene lactones, notably alantolactone, a mucous membrane irritant. 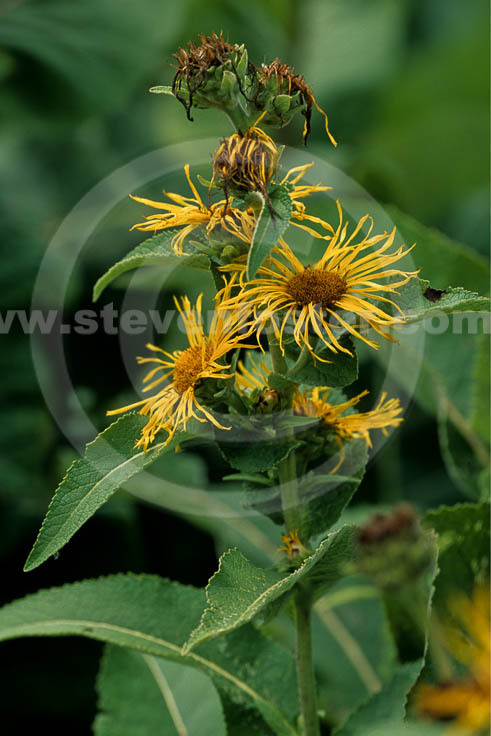 This compound attaches to skin proteins, causing sensitization and contact allergic dermatitis. 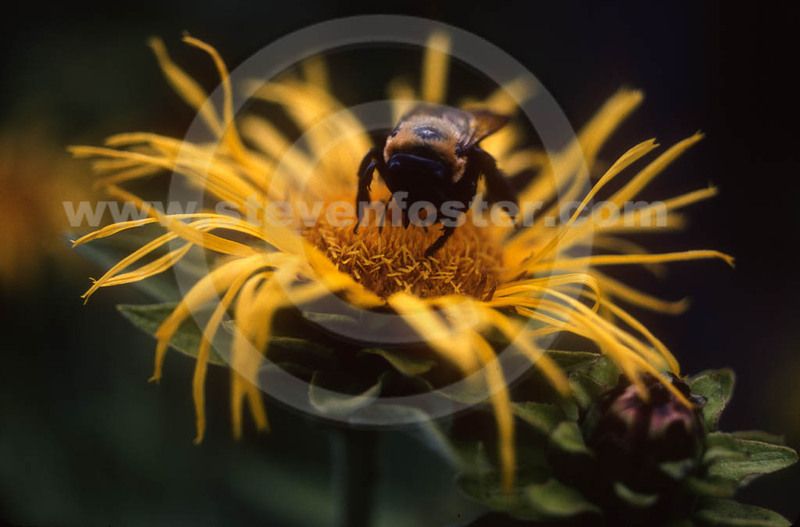 For some, rhe risk may outweigh the benefits..